It was a quick easy fix - done well! DISHWASHER WHIRLPOOL WDT970SAHV0 "No error codes found. Ran an auto test, a normal cycle and another auto test. Both arms are turning. Unit drains normally. Customer’s complaint is the control intermittently displays rotating dots in the screen and will stop. Ordered a new console and main control ; ordrng 1 W11302463 (CONSOLE) and 1 W11305296 (MAIN CONTROL )"
WASHER AMANA NFW5800DW0 "Customer continued to use and it had stopped leaking by the time of appointment. Took off bellow from front assembly to look below and didn’t see any evidence of water. Reattached and ran through diagnostics and didn’t get any leaks. All checks good, customer I’ll continue to monitor." DRYER WHIRLPOOL LER4634PQ0 Open element he will think about repair quoted 106.65 labor plus part and shipping. RANGE WHIRLPOOL WEE750H0HZ1 Installed console bypassed WiFi setup tested at 350F heated correctly controls operating correctly. WASHER WHIRLPOOL MVWX700XL2 Installed rods and hub checked over unit again no error codes spind correctly. DRYER AMANA NED4655EW1 "Left lower rear roller impacted with lint would not rotate, removed lint cleaned shaft unit now tumbles correctly, informed customer exhaust duct too long 2hen pushed back pinched creating restriction." WASHER WHIRLPOOL MVWX700XL2 "No error codes, nothing between basket and tub, states items she was able to wash when new will no longer spin out, explained possibe overloading or suspension springs may be weak under a load will try new springs. ; ordrng 1 W10780051 (rod kit)"
MICROWAVE WHIRLPOOL WMH31017HS2 Exhaust duct pushing on damper plate hitting blower wheel corrected problem no longer noisy. RANGE MAYTAG MGT8720DS00 "RR burner valve will not turn, checked all fittings supply hose burners unable find a leak ordering burner valve asked customer to monitor. ; ordrng 1 WPW10206288 (valve-brnr)"
REFRIGERATOR WHIRLPOOL KRFF507HPS00 Hooked water line back up to unit. Customer had noise recorded. Was actually the ice maker cycling and then trying to fix but valves are very noisy without water. Let water tank fill and then water in door worked fine. Also cycled ice maker and that filled with no issues. All checks ok. Normal to heard ice maker motor and hum when using water in door or when ice maker is filling. 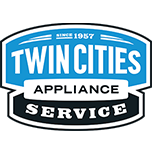 WASHER WHIRLPOOL WFW9640XW00 "Customer has done laundry since placing service call no smell since one time, had an F7E6 motor fault, ran a manual test agitation completed corrected, belt is fine cannot duplicate a burning smell recalibrated unit cleared code asked customer to monitor." MICROWAVE WHIRLPOOL WMH76719CS4 Installed interlock adjusted door operates correctly. DRYER WHIRLPOOL WGD5510VQ1 "Installed timer unit heats, opened high limit tstat recommended to customer to check for snow at damper exiting house collected 80.90."